Google Chrome breaks Kubuntu 8.04 download: WebKit to blame? 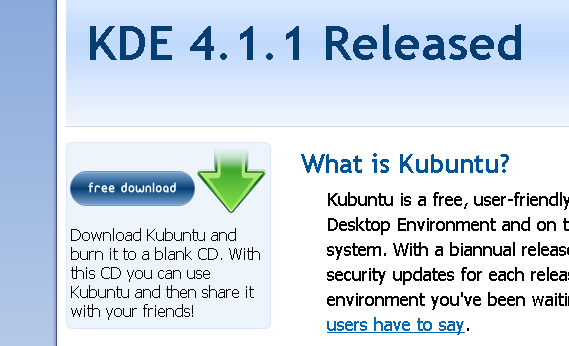 Kubuntu has launched a KDE 4.0 version of its operating system. The KDE 4.0 environment sports a new UI also termed as Plasma which gives a refreshing new look to Linux systems. Even though the new UI needs a bit more on graphics power, I decided to try it on my humble PC. When I clicked on the “Free download” buttion nothing happened. Initially I thought that the click did not register properly. So I clicked again. Nothing. I kept on trying and it just did not respond. I tried the same on Firefox and it immediately took me to the download page. So what’s going on? 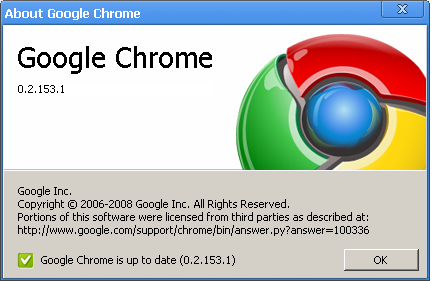 Is this because Google Chrome is based on WebKit unlike Firefox? Looks likely. I tried the same thing on Apple’s Safari and faced the same problem. So probably its the WebKit software that is to blame here and not Chrome.